Why Do I Blog About Food? Hello and welcome to the latter half of a two-part post about some of the best craft beers in Seoul. 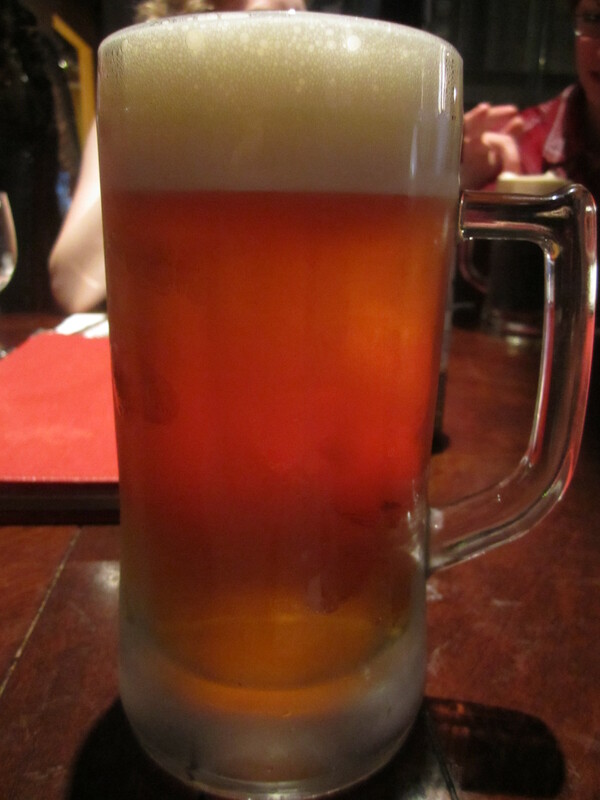 In my last post, I spoke about going to both Craftworks in Itaewon and Oktoberfest in Hongdae. Today, I am going to describe the delicious findings I encountered during a trip to the creative Castle Praha in Hongdae and my after dinner trip to Tom’s Cookies. First things first, the beverages in question. 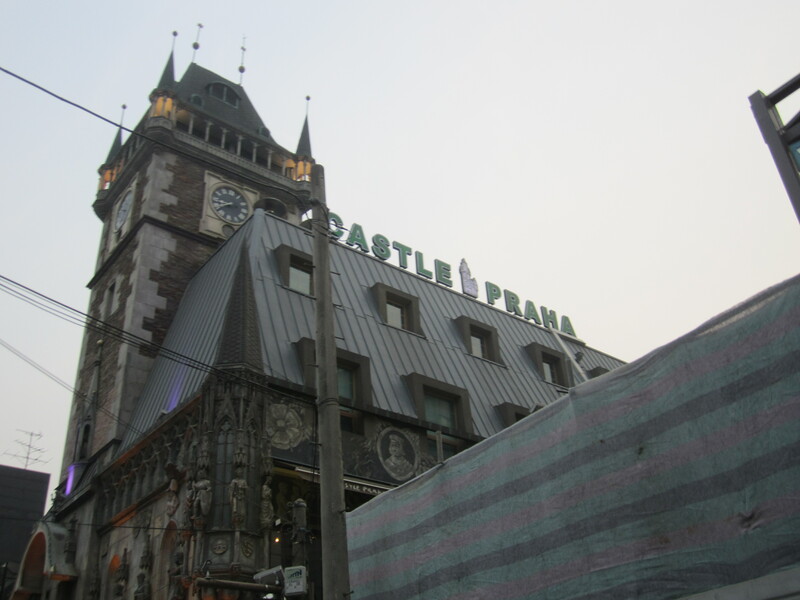 Now, I have already been to Prague, so I was curious to see the mysterious but much heralded Castle Praha located at Solnae 6-gil Hongdae in Seoul (http://www.castlepraha.co.kr/new/home/eng/page5.php). After a bit of walking from the metro stop, I was face to face with a large building that looked very out of place next to the more typical Korean looking buildings, i.e. large, soulless blocks of concrete. 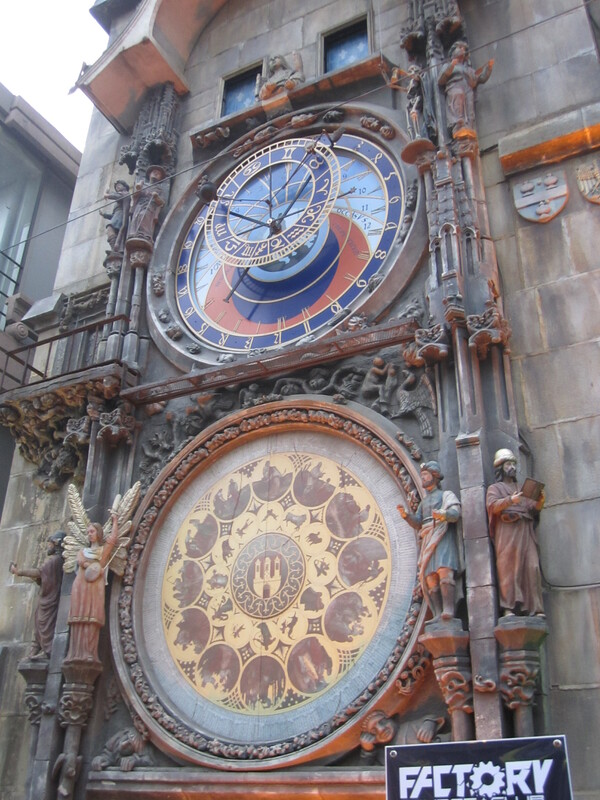 I couldn’t tell if it was supposed to be a castle or an old church, but it had a replica clock and sun dial like I saw in the Czech Republic in both Prague and Olomouc. 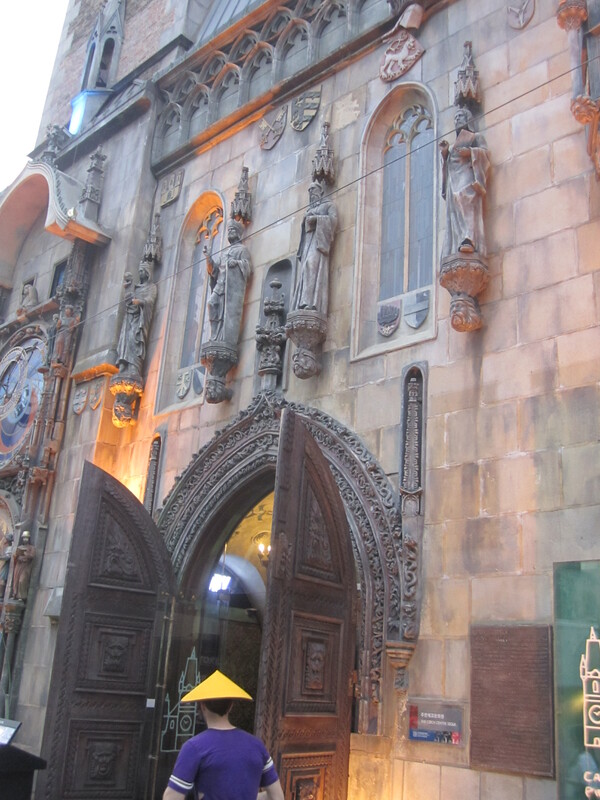 The stone work was quite intricate much like the taste of beers that I had inside. Upon entering the warmly lit interior, I could see that they blended the feel of an old castle with modern design. However, it was kind of bizarre hearing hip hop music over the speakers as a soundtrack to this quaint visit. Please look into some Classical music, Castle Praha. My group and I were seated on the top floor which was right by the wine elevator. Castle Praha has more than just beer. They also have a wine list and a full menu of both Czech favorites and American staples like pizza, salads, and bar food. However, if you’re looking to try a bit of Czech cuisine, it’s going to cost you a pretty penny. The koleno or roasted pork knuckle was 37,000 Won, so I just opted for two beers: the Jerzek Hedgehog Grand Pilsner (10,500 W for a large) and the Royal Porter (10,000 W for a large). I picked the first one because it would make sense to get a Pilsner since it was invented in the Czech town of Plzen in 1842. Plus, there was a funny animal thrown into the name, so I couldn’t say no to it. Overall, it was not an overly light brew in terms of taste like a lager, but it was quite foamy and filled with fruity notes throughout each sip. It would definitely sit well with me on a hot day like today. As for the Royal Porter, it is a beer that is more my style as I have mentioned in previous posts (See CBIK 1 or Troika or Dandy Candy). 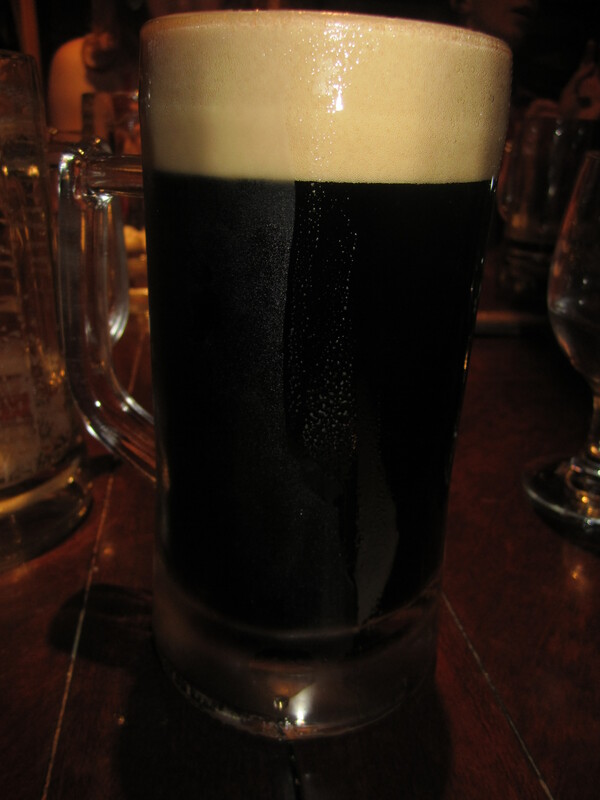 It was dark and thicker than the Pilsner but not too overwhelming in terms of taste. True, it had a more bitter bite to each sip, but it did not have the more unusual coffee background like their Dark Lager. So I think if I had to choose one, I would choose the Royal Porter just based off of my penchant for dark beer, but they have beers and liquors for all types of palates. 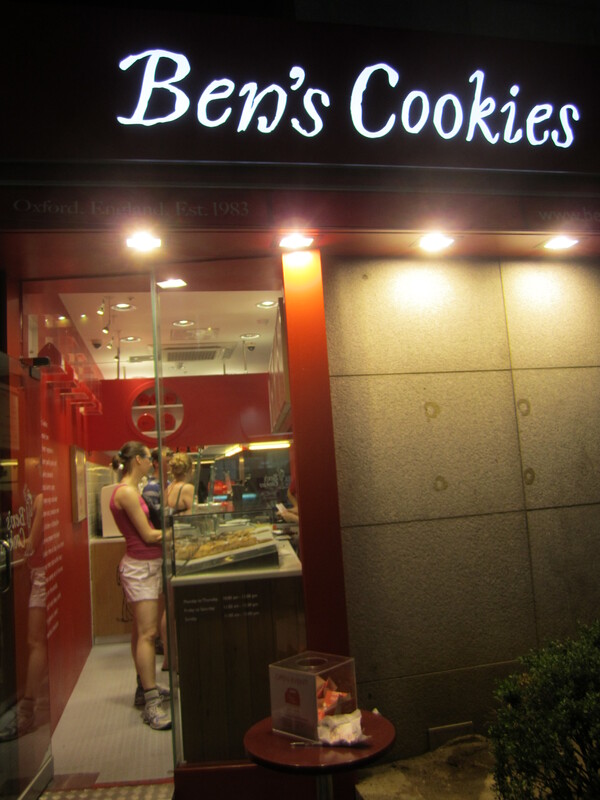 Once we had downed and thoroughly enjoyed our drinks, we headed out for dessert at Ben’s Cookies. 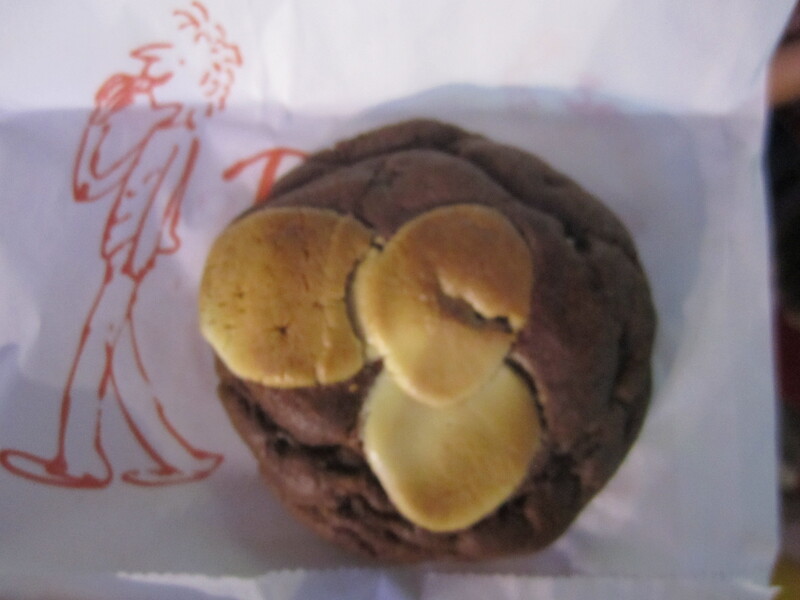 We arrived at Ben’s cookies with not even a line out the door, but all of my friends were saying that these cookies, especially the peanut butter ones, were the best thing since someone figured out how to untwist an Oreo. Naturally, that piqued my interest. Unfortunately, they sold out of the peanut butter by the time we arrived, so I settled for a cranberry and white chocolate cookie along with a triple chocolate cookie (completely necessary). They’re priced by weight, so mine came out to 5,000 W for two. They were semi-soft which received a big seal of approval from me since I hate crumbly, hard cookies and were chock full of their respective title ingredients. Texture aside, more elements doesn’t always equal better food. First, the cranberry and white chocolate cookie had some of the largest cranberries I’ve ever eaten in my life. They were semi-dried and resided alongside hulking chunks of pure white chocolate. 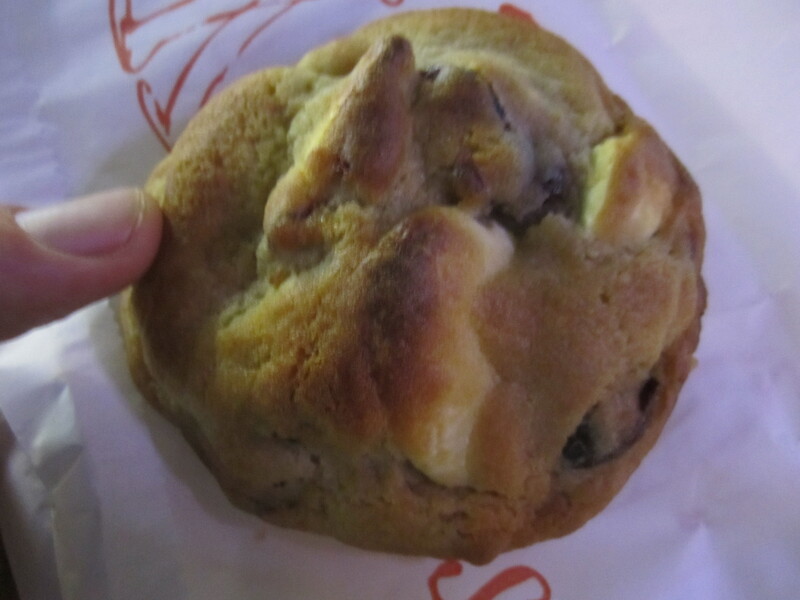 However, it was overall a pedestrian cookie since all I tasted were the tart cranberries while the chocolate and dough were mere bystanders in terms of flavor. Thankfully the triple chocolate was as decadent and delicious as it sounds. The cocoa trifecta came from the chocolate dough which was then topped with three large, melted chunks of white chocolate, and then on the inside there were smaller chunks of melted white chocolate. The molten interior is what really made this delectable morsel stand out from the tamer first entry. Overall, I’d recommend Ben’s Cookies if you’re looking for some legitimate Western style cookies, but the price might keep me from coming back for more. Posted in Alcoholic, Bakery, Beer, Beverages, Cookies, Czech and tagged Bar, Beer, chocolate, cookies, cranberries, Czech, Pilsner, Porter. Bookmark the permalink. I'm a food lover who would like to share my many adventures throughout the culinary and geographical world. A good meal or snack can unite people from all walks of life, and new stories can be created from meetings around a table or face to face in a quiet cafe. In this blog, I will share various experiences I've had over the years, and hopefully you'll adventure outside your usual gastronomic choices to try something new and unusual. Bon Appetit, Buen Provecho, and Buon Appetito! I enjoy your blogs and your style of writing. Very Informative! Keep up the good work. Thanks! I try to be as descriptive and entertaining as possible with each restaurant I try. Thanks, Amy. I went through all of my old posts and added links to older posts and links for more info/the restaurant if they have one. If you have any other suggestions for improvements, let me know. Click here to become part of the VizEat community!